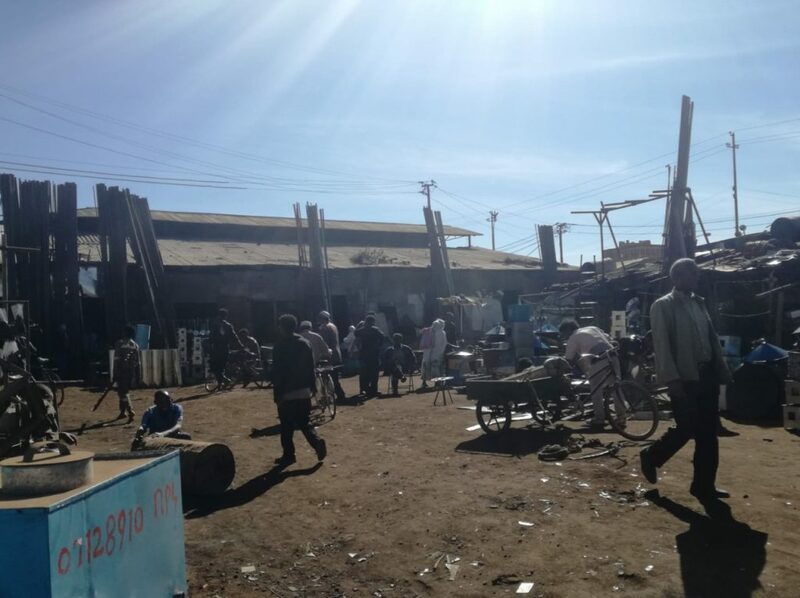 In Eritrea, in Asmara, the fire which flare up last Sunday in Medeber has been extinguished. Not the whole area of ​​Medeber, famous for being an outdoor “forge”, is burnt. A place with many small workshops, where you work above all metal and where anything returns as new. In fact, the art of recycling is the norm in Medeber. Since always when something breaks, you do not throw it. You go to Medeber. The streets, as you leave the center towards Medeber, become unpaved, bright red. Of the same color of the iron in the earth. 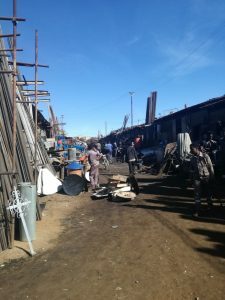 The same iron that many craftsmen work in their workshops at the former Caravanserai. Medeber, today, is a place much loved by tourists and indicated in travel guides. It is a unique place where sounds, smells and colours are mixed. The colour red, earth, fire, berberè often prevailing. For this reason it was alarming to read that it no longer existed. Fortunately, it is not so. Those who live nearby say that, unfortunately, small fires like last Sunday can happen. Working with fire is risky and safety conditions, while being outdoors, may be insufficient. 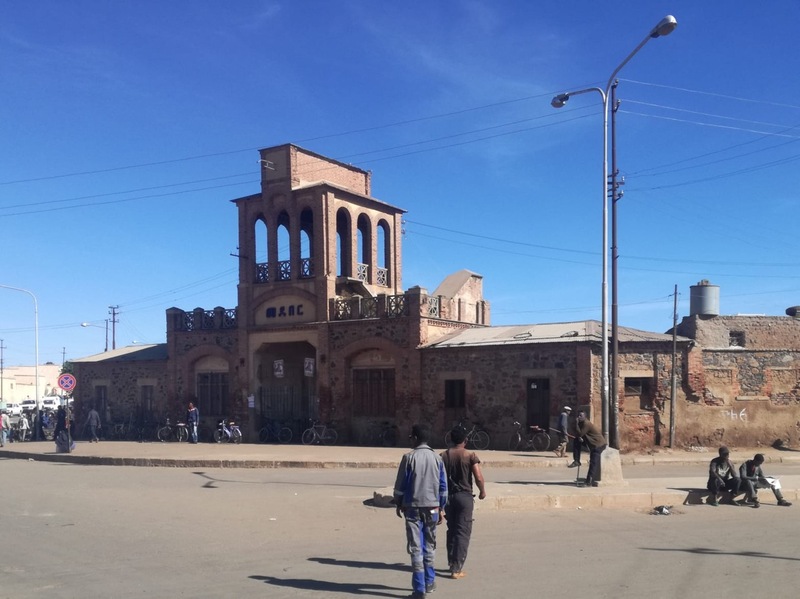 But it was not a “huge fire” that “destroyed one of the most beautiful historical monuments in Asmara”. The news was given by the “Eritrean Press”. The post reports a long work to try and extinguish the fire. Adding that the fire has destroyed “450 small businesses” and that Medeber was burned. The image accompanying these words is from March 2009. A little old-dated to be news. To be fair, it must be said that immediately after the release of this article that denies the devastating fire, Eritrean Press corrected the news. Adding that its source was Voice of America Tigrigna. It remains to be asked, why a partial fire has become a total fire for VoA. Medeber is fine. You can still work in it, as this morning’s pictures show. The fire did not destroy it by taking away the crafts that excels there. For sure Sunday’s fire can be a wake-up call, for Medeber should more stringent security measures. 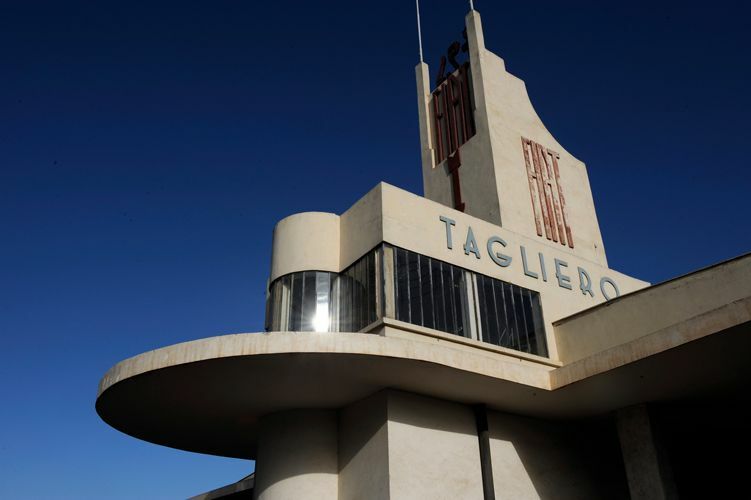 It is one of Asmara’s many jewels and must not be lost. HORN OF AFRICA, ITALY’S ROLE IN ERITREA, SOMALIA AND ETHIOPIA In the Horn of Africa, peace between Eritrea and Ethiopia changed the scenario. And Italy may play a role. 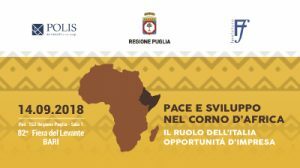 A trip of PM Giuseppe Conte to Ethiopia and Eritrea is planned in October.